10 Cult-Favorite Face Mists You Absolutely Need | Top Beauty Blog in the Philippines covering Makeup Reviews, Swatches, Skincare and More! In this post I rounded up ten of the best-selling hydrating face sprays that help refresh, restore / tone the skin and extend the wear of makeup. Have you guys tried any of these facial mists? Let me hear your thoughts in the comment section below. Inspired by Queen Isabelle of Hungary's famous elixir of youth, Beauty Elixir is formulated with grape extracts and clarifying ingredients to provide an immediate burst of radiance. The complexion treatment reduces dullness and is infused with toning rosemary, astringent mint, and soothing rose essential oil to prepare your skin for further treatments. Beloved by celebrities and makeup artists worldwide, the Beauty Elixir is the ideal priming base and setting spray between layers of makeup for a long-lasting and smooth finish. Saturate your skin in Nirvana and experience supreme skin bliss. This post-cleanse Hydrating Treatment Mist empowers your skin to get the most out of your skin care ritual. After cleansing, your skin is like a dry sponge, which further treatment is less able to penetrate. Nirvana is designed to provide the same benefits as a skin-softening steam step in a traditional facial: to soften and saturate skin so it is supple and ready to absorb additional products. Back in 2000, Smashbox founder and photographer Davis Factor developed our iconic Photo Finish Foundation Primer to help makeup look better and last longer on shoots. Fast forward 15 years and a new icon is born: Photo Finish Primer Water. Free of silicone, alcohol, and oil, it’s packed with revitalizing electrolytes that work to reawaken skin and restore moisture. This enriched water instantly absorbs into skin for lasting hydration, leaving skin looking refreshed and ultrasoft while it locks in makeup. This soothing mist plumps and refreshes skin instantly while improving moisture and conditioning over time. The formula hydrates with glycerine and panthenol, while caffeine, chamomile, cucumber, and green tea extracts help soothe and calm skin. The ultrafine mist can also be used to set any makeup look for a healthy glow and is perfect for giving skin an instant boost of hydration and radiance, whenever it's needed. After cleansing, this hydrating mist balances and conditions the complexion, preparing the skin for maximum absorption of serums and moisturizers. Rose essential oil, marshmallow, and aloe help to hydrate and soften skin, while grapefruit seed extract provides antioxidant protection. This uplifting rose mist instantly refreshes the skin and can be spritzed throughout the day for a quick pick-me-up. It’s quick drying and non-sticky finish makes it the perfect final step to keep makeup looking fresh and dewy all day long. Coconut Moisturizing Facial Mist has the perfect balance of seven amazing ingredients for the skin. Formulated to be both refreshing and light, this facial mist helps deliver antioxidants, nutrients, and moisture to the complexion immediately for instant results. It's also infused with highly humectant coconut extract, honey extract, and organic Bulgarian rosewater, aids in the absorption of water and supports the skin’s retention of moisture. This refreshing facial mist re-energizes skin, imparting a dewy radiance and lasting hydration to skin with or without makeup. It’s formulated with a liquid blend of Renewed Hope's exclusive non-stop skin renewal technology, featuring three forms of AHA’s: glycolic citrus and mandelic) to leave the skin looking fresh and shine-free, along with Asian fruit extract (wu-zhu-yu) to support natural skin microcirculation for a healthy-looking glow. Reveal flawless-looking skin with the Pivoine Sublime Skin Perfecting Mist. Alcohol-free, the delicately scented formula refreshes the skin, helps set makeup, and is proven to hydrate for up to eight hours. 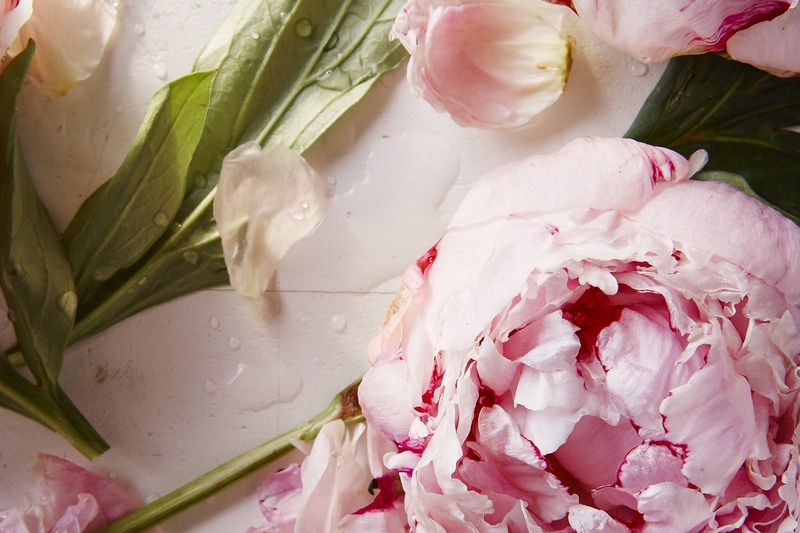 Pores look reduced and skin texture seems refined thanks to a patented* peony extract. The Perfecting Mist can also be used throughout the day for a quick touch-up. Purify and mattify your complexion while indulging your senses. This formula incorporates lactic acid to exfoliate and smooth the appearance of skin, along with golden seal and hops extract to soothe and reduce redness. Pamper your skin with this herbal, botanical blend any time of day to reduce shine and refresh skin for a natural-looking Ole Glow. I think I need one of these face sprays. I haven't tried these but they sound lovely!